…. and the images produced alongside. 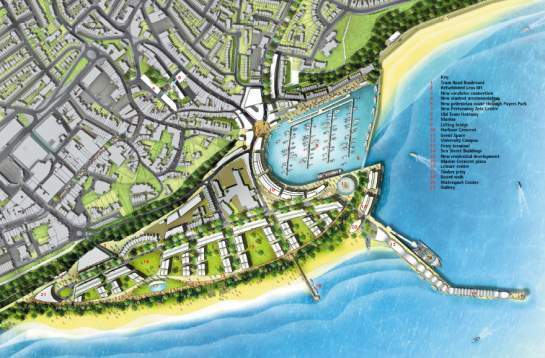 Roger de Haan, current owner of Folkestone harbour, has commissioned Foster and Partners to produce a masterplan for the harbour area. with images and models of a better looking and better working future environment. used as a political tool to kick start a discussion about change and. The images produced are strong in the sense that they propose a possible reality by almost erasing the existent. The images and documents don't show a process of change and they certainly don't show possibilities for a collective and participatory transformation of Folkestone that starts with the existent. The images focus on future real estate and physical development as a main objective. 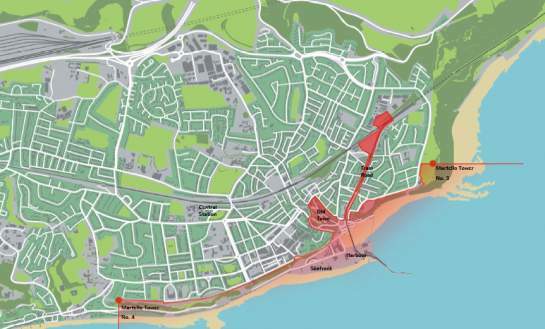 FOLKESTONOMY is an attempt to produce new images based on the existing, which show different social and spatial aspects of Folkestone, and to counterpose and complement the master plan images. The images produced as part of a regeneration process are key to how visions are shaped and expectations answered. There is a real need to produce pictures in order to illustrate ideas and objectives, but there is also an understanding amongst the professionals involved, that images often have a provisional role and meaning and will change throughout the process. However the general public often reads first illustrations of visions as “the design”, and due to a lack of understanding a highly complex commission/design/implementation process, are disappointed if final outcomes are not delivered as suggested in the masterplan. Regeneration is fluid, it deals with changing relationships, politics and opportunities. The spaces involved in, and addressed by regeneration don’t change overnight, but evolve slowly, as does the image that goes with those spaces. If regeneration is bottom-up, the making of the new starts from within the existing, and is a slow transformative process, rather than an abrupt replacement of the present by the new. Process and slow transformation are much more difficult to represent than a visionary image, but are equally important in regards to understanding the process, and the potential of various forces and elements within it.